Criminal #3 review: King of the gutters – AiPT! There’s criminal activity here, but a heist isn’t the focus—it’s the tangible sadness of devoting ones life to commodified art. “The Longest Weekend” comes to a melancholic close, marking it as one of Ed Brubaker and Sean Phillips’ greatest stories to date. Placing a crime story in the world of comics is a daring idea, but Brubaker and company pull it off masterfully. Anybody even vaguely familiar with comics history will get lots from this, like the story taking place in the bust of the late ’90s, and the ornery Hal Crane being from the “olden days” when verbal agreements were used instead of legal contracts. But more importantly than that are the characters and their emotions. We’re given more insight into Jacob’s past and how he came to idolize and grow to disdain his hero. There’s criminal activity here, but a heist or murder or plot isn’t the focus–it’s the tangible sadness of devoting ones life to commodified art. Both Jacob and Hal are beautifully realized creations. Their personalities are defined, but they’re still capable of surprising us. Within their hardened exteriors, there’s a warmth and respect between the leads that gives way to touching exchanges and insights. People are complicated, and there are always more complex and darker emotions brewing beneath every façade. Also, there are several other side characters who are all memorable in their own ways. Sean and Jacob Phillips deserve equal credit for their combined efforts. The script is brilliant, yes, but (as the adage goes) comics are a visual medium, and the art here is as effective as amazing cinematography or direction for a film. The work brings the emotions to fruition, from the characters expressions to the carefully chosen color palettes. I could see some people upset that this story “just sort-of ends.” Certainly there are some loose threads that I could envision a lesser team wanting to tie-up for a happy ending. But as for these characters and their relationships, this story ends right where it needs to. 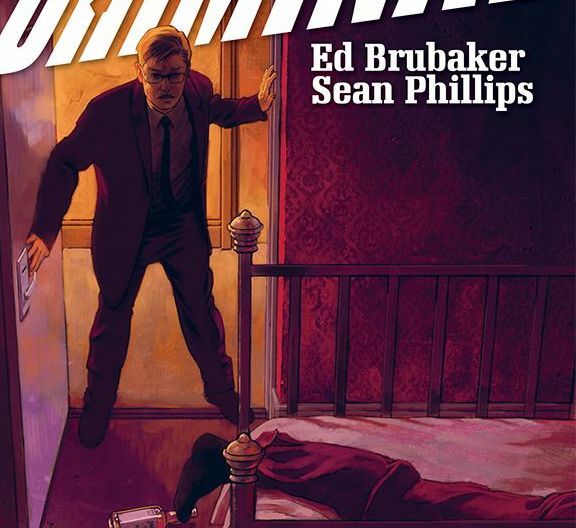 In two issues, Brubaker and the Philips have crafted a story about comics and the people behind them with more depth than most series achieve with years worth of arcs.